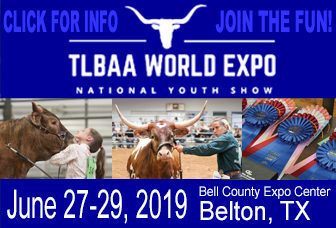 Proudly held during the Fort Worth Stock Show and Rodeo, January 18-22, 2019, this event is a full weekend of Texas Longhorn events! 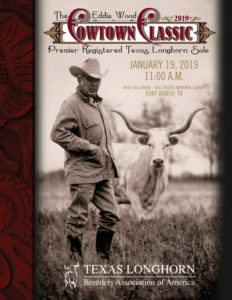 Longhorn Weekend is comprised of the legendary Eddie Wood Cowtown Classic Sale, Annual Membership Meeting, End of Year Banquet, and the two World Qualifying Longhorn Shows….need we say more? Come on down to Cowtown! It’s Time to Vote for the 2018 TLBAA Special Awards! Take time to read why the individuals were nominated and then make your choice on the official ballot. Ballots must include member name and TLBAA number of active member to be a valid vote. Ballot Deadline is December 20, 2018 – 5 p.m.
Be sure to check out the Eddie Wood Cowtown Classic Sale lots so you can be ready to bid! 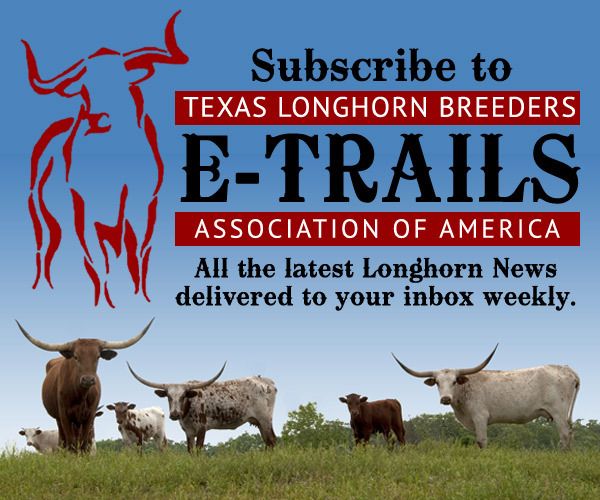 Call the TLBAA office 817-625-6241 to reserve yours today. 8 a.m. Sale Cattle Viewing – Richardson Bldg.